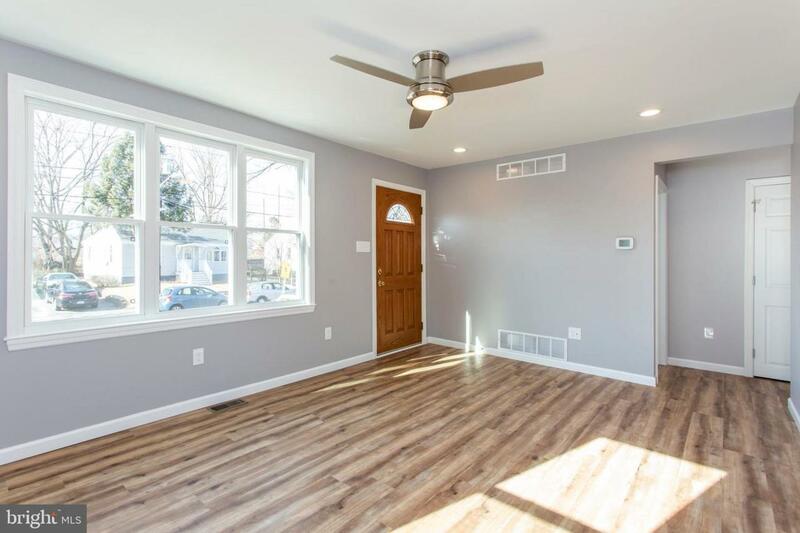 Step into the most complete renovation in Woodbury! When you first pull into the two car driveway, notice the new siding with new Low-E replacement windows and GAF Timberline HD Shingles in Pewter Grey. As you enter the front door, you and your visitors will be greeted by a RING Doorbell. Walking through the 6-panel exterior door, enter into your main floor living room flooded with natural light and a new modern ceiling fan. Throughout the first-floor notice LED recessed lighting and the luxurious feel of new Engineered Vinyl Plank flooring in Sandalwood under your feet. From the living room to the kitchen, the open floor plan allows for clear sight lines into the all new kitchen, perfect for entertaining. The spacious kitchen features an ultra-modern design with stunning premium granite countertops, under mount sink with garbage disposal, and a complete four-piece stainless steel appliance package with gas range. The open floor plan allows for an eat in kitchen and lots of natural light flooding in from windows on 3 sides. The main floor also features the home~s two spacious bedrooms and a completely renovated, 3-piece, custom tile bath. Don~t miss privacy of the transom window allowing natural light into the full bath. Every interior door has been replaced with new 6-panel doors. 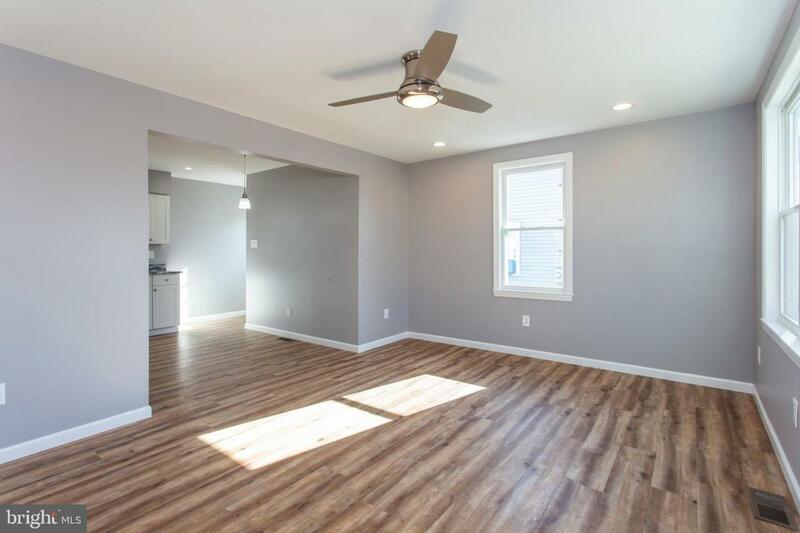 Not only does this home have great main floor entertaining areas, your entertaining space is doubled with a finished basement that boasts new wall to wall carpet, LED recessed lights, and a new half bath with tons of storage space! The finished basement is perfect for your home theatre and comes pre-wired for cable. The basement also features a separate laundry area with washer and dryer hookups, as well as separated utility and storage areas. Do not wait to tour this turn-key home! This is a beautiful home with a complete behind the walls renovation including R-15 insulation, all new high efficiency Rheem HVAC including all-new galvanized ducts throughout, high efficiency Rheem hot water heater, all new PEX plumbing, and 100-amp electrical service. The combination of high efficiency HVAC, new Low-E windows, insulated exterior walls, and LED lights throughout will keep your energy bills low for years to come. Outside, the property features a large flat lot, perfect for entertaining all your summertime guests! 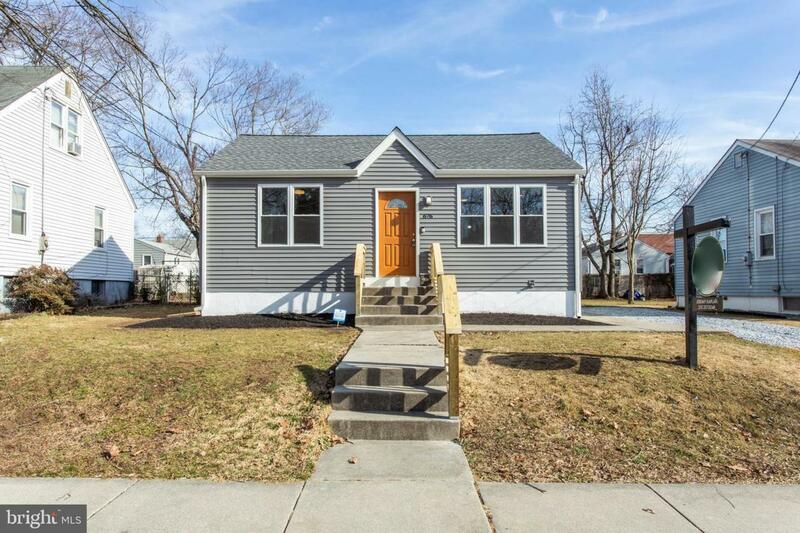 This complete rehab is located on a quiet street adjacent that is minutes from everything! Centrally located only 2 blocks from Inspira Medical Center, Stewart Park, and the YMCA of Gloucester County. With a Walk Score of 70, most errands can be accomplished on foot. 10-minute walk to Evergreen Avenue Elementary School. Convenient to Downtown Woodbury. 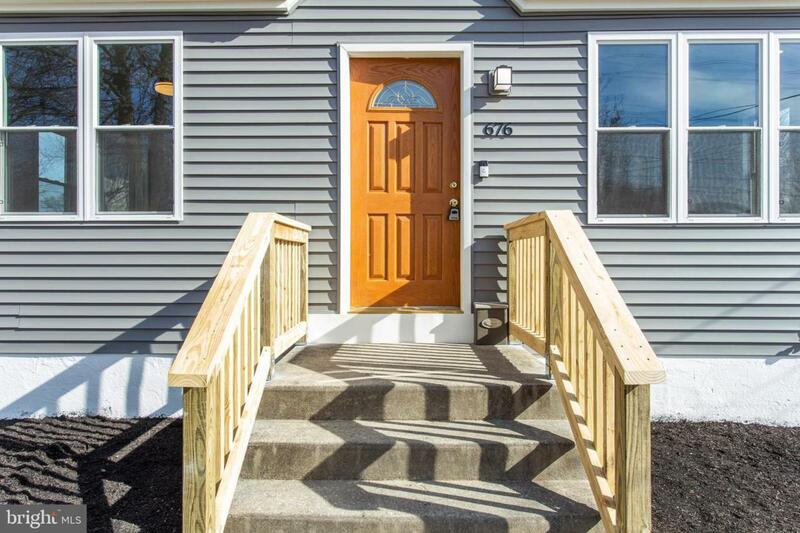 15-minute drive to the Deptford Mall and Walt Whitman Bridge.